Easy Pop-up with Die Cutting and December Challenge Winner! First, the winner of the December challenge is… entry #15: Connie H! Congrats, Connie, I emailed you. I’ll be back on Monday to launch the January Challenge, so be sure to visit then! The Stampin’ Up! Occasions Catalog, which debuts January 5th, has a die-cutting pop-up product in it, which inspired me to create this card. It was really easy to make! I originally bought this Pile of Gifts die for holiday cards, but I ended up not using it in time. So, birthday it is. You could use any die for this technique – it doesn’t need to be symmetrical. I think a set of butterflies or flowers would be beautiful. While I was taking the photos, I was thinking I should have used the leftover patterned paper to die-cut the ballooons on the front. Oh, well. Darlene, I love this card and can’t wait to watch the video, just busy today and spent too much time on the computer already. Will be back day after tomorrow to watch and comment!! =) Happy new year to you also (again)!! Thanks so much SandraMaria. I am delighted too that I started off the year with a win! Maybe that means that 2016 is going to be a good one. Happy New Year to you too! I click on ‘add to favorites’ so I could find it and watch the video later but now where do I find ‘my favorites’? On the top right of the screen, above the Live Love Cards banner, is a link that says “My Favorites.” Click that, and it will take you to those cards you have added. OMG I didn’t even know this feature existed on Darlene’s site!!!! WOW…this is great!!!! Thanks to Lorie and Andrea…and to Darlene for OF COURSE already having this! what a fun and unique card Darlene! Happy New Year to you and your family! Congrats Connie! Love the card Darlene, I think the dsp makes it! Happy New Year! Oh thanks Carol Mac. I never win anything so it came as quite a surprise. In my shock I am not sure I actually thanked Darlene for drawing the lucky 15! But thanks now, Darlene! If I can win the Challenge, anyone can win the Challenge! This should be a big incentive to enter the Challenge in January. As for this card, it is so effective. It’s one of those cards you’d like to receive! Awesome card! Can’t wait to copy and make some for kids (of all ages). Creative as always! Have to try a pop up! Oh thanks Andrea. It went to a little boy to say “thank you” for his gift. I hope he liked it too! Enjoyed watching this video Darlene but I am not a fan of “pop-up”. I am not sure why but I think it is a bit too busy for me although I do like to decorate my cards on the inside in a small way. Thanks Glenis. I agree that pop-up cards are a bit too fussy for me to have the patience to make but I would love to receive one as I can appreciate all the effort it takes. I made one once and that might be my last one (smile). That’s the type of card you only make for someone special! LOLZ…you are totally the Queen of PopUps!! Love this card! I definitely agree that you are The Queen of PopUps, Darlene! But even if we don’t all like to fuss around making popups, we can appreciate them as well as get some good tips from this card for making a cute balloon card without a popup. As you suggested as an afterthought, I also plan to use some of my colourful designer paper for the balloons. I’m so happy for you Connie, congratulations on your win, a great start to 2016! That’s a stunning pop up card Darlene! Thanks Anita. Yes, winning at the outset of 2016 must be a good omen! 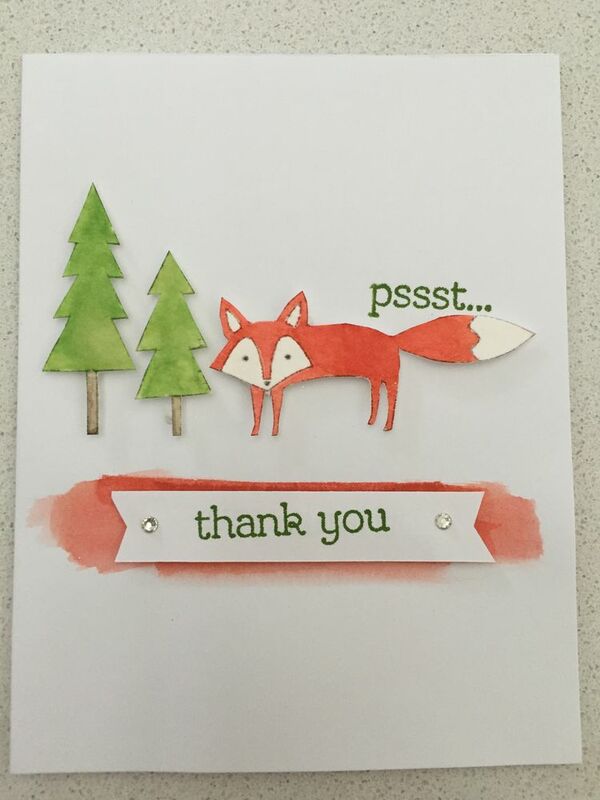 Congratulations, Connie… love your fox card. He’s adorable and I’m sure the recipient enjoyed it too! Fun pop up, Darlene. One of the techniques I need to try in the new year! Thanks so much for your kind words. The positive feedback from you all really has blown me away! Oh My! I LOVE this idea! Will definitely have to try it. thanks for all your creative ideas Darlene. Happy New Year to all! I love this card! It does seem very easy. I have lots of birthdays in the next month so it came at a really good time. In my mind I’m still in December, haven’t made the transition yet, better get with it! Thanks Darlene and Happy New Year to you and your family! You keep mentioning dog hair, I love dogs! Can we see a picture of it?? Hi Suzie. When I saw your comment, I took my phone directly to the pups for a surprise photo shoot. This is the best I could do. They wouldn’t sit together! What a great card! I added to My Favourites too – now that I know I can lol! Congratulations to Connie, enjoy your goodies!!!!! Darlene, this card is just so beautiful, what a fabulous die, it’s so detailed and it looks amazing with that background paper. I love pop up cards, I love cards with interesting folds and decorated inside and this card has both this features. Thanks so much. I already have my goodies selected as soon as I get my SSS gift certificate. Wheeee!!! !